We bring together everyone involved in the shale industry and ensure that we form beneficial relationships with all types of industries. Together, we can have an impact on the development and the economy in the Marcellus Utica Shale region. Marcellus Utica Connection is an organization that connects people, businesses, government, and industries that are involved in or impacted by the Marcellus Shale and Utica shale sites located in Pennsylvania, Ohio, West Virginia and New York. We connect businesses, industries, and government to those who are looking for opportunities to form relationships. Whether you want to work directly with the shale industry in our area or would like to establish a new venture that will bring jobs to the states with Marcellus and Utica shale sites, the information that you need to begin is right here. 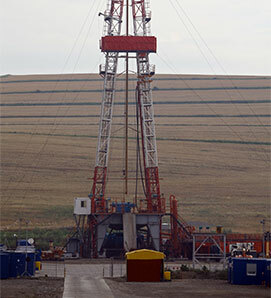 Our organization uses specialized technology, information, and resources to help the people and businesses who are involved in natural gas drilling, by-product production, and related business and economic development for both the immediate and surrounding shale site areas. Business and employment listings are available here for those who are interested in construction, engineering, manufacturing, transportation, education, and any related industries. We also connect those who want to hire skilled workers as the economy continues to grow.